The largest bathroom exhibitors gave Joomlaproffs contract to develop the new website. Frej Jonsson is a major player in the bathrooms and plumbing for individuals and merchants. Their showroom in Gothenburg is Scandinavia's largest bathroom. 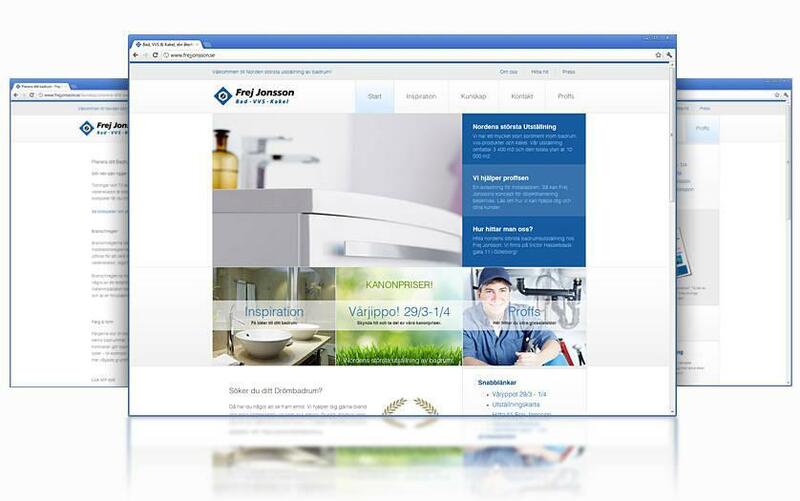 They chose to give Joomlaproffs.se assignment to finalize a new website with modern design. We at Joomlaproffs.se the challenge and both we and Frej Jonsson is now satisfied when we can launch in record page. See the results of www.frejjonsson.se and please contact us if you too are considering new website. If you are considering a new bathroom, we can take the opportunity to tell about Frej Jonsson stunt days going up to 1 April.